Great little shoe, I am always a little nervous when trying on a flat shoe as it doesn't always please me, but the new Arc was a surprise. I walk alot and as they are light weight feel fantastic. The cushioning could be a little more generous. I wear them in my pump class which lasts an hour and find them one of the most comfortable shoes ever worn. It really does feel like your wearing barefeet. The Bare Access Arc is an 'introduction to barefoot' type shoe. 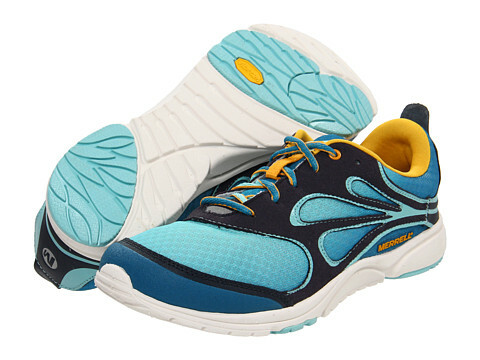 It has a little more cushioning than their usual completely minimalist models and is designed to be a less daunting introduction into barefoot running for those that are a little nervous about taking the plunge. It's 8mm cushioning instead of the standard 4mm cushioning affords a little more protection, however still consists of that 'zero drop' technology.